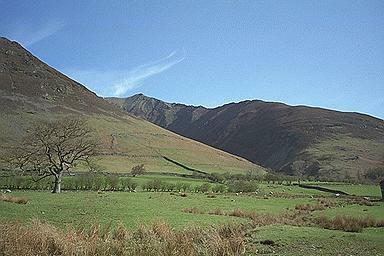 Here the summit of Blencathra can be seen at the top of the Hall's Fell arete. To the left lies Gategill Fell. Larger version of this picture.